Let’s start with the basics. I’ve already mentioned that Pinterest is a visual search engine. But it’s also a social media platform. Some bloggers will tell you that Pinterest is a search engine and nothing more. Not quite. Yes, Pinterest functions as a search engine, but it also has a social component. Like other social media platforms, Pinterest wants engaged users who consistently pin, save, and comment. It rewards those who create and share great content. Secondly, Pinterest has group boards where people who write about the same topics come together to share their content. I’m mentioning this because if you treat Pinterest as just a search engine, you won’t be as successful. You should treat Pinterest as both a visual search engine and a social media platform. It took some time, but the hard work paid off. You probably won’t see results from Pinterest right away. It can be frustrating, but you have to keep must keep going. Give it at least 2 months. Pinterest isn’t a quick fix for low traffic. It’s completely free to get started on Pinterest. You don’t need to spend money on ads to compete with the big guys, like on Facebook and Google. Pinterest is a search engine that is less competitive than Google, which is especially great for new bloggers. If you understand how Pinterest works and apply the right strategies, you can rank highly on Pinterest from day one. Unlike Facebook, Instagram, and Twitter, your content lasts longer on Pinterest. The average pin on Pinterest has a life cycle of 6 months. Compare that to the 24-hour life cycle of an Instagram post. What this means is that your pins will continue to generate traffic for you far into the future. My most successful pin continuously drives 1,000 page views to my blog, even though I published it in March 2018. Pinterest users take action. About 70% of users save and click on pins they come across. Success on Pinterest can translate to success on Google. If your pin is doing really well on Pinterest, it can get shown on Google results when someone searches for the topic of your pin. This comes down to keywords, which we will discuss later. 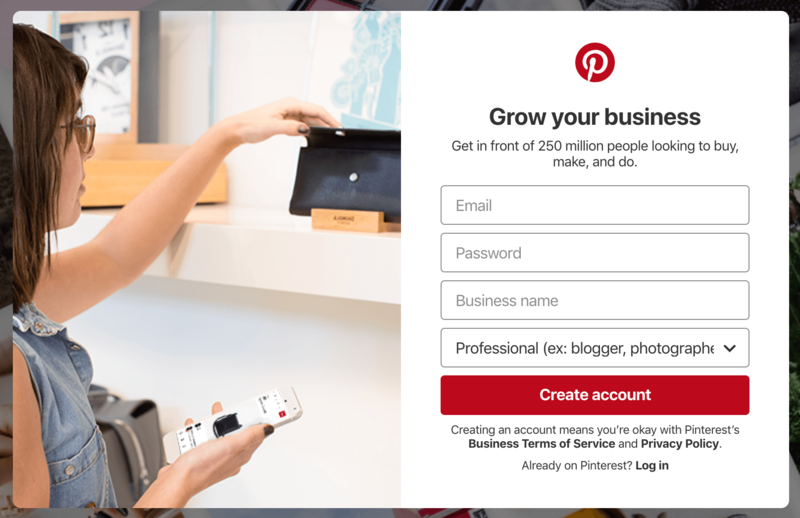 To get started on Pinterest, you’ll need to set up a business account. You can also convert your personal account to a business account. Why do you need a business account? This is because it comes with analytics to help you see what’s working. As a business, you also get to enable something called Rich Pins, which gives your pins more authority on the site. Pinterest gives greater authority to accounts that are older so please don’t start a brand new account. Simply convert your personal account to a business account. Download the pdf below to learn the exact steps to set up a Pinterest business account. If you’re brand new to Pinterest, there can be a steep learning curve. I took six Pinterest courses and worked with a Pinterest coach to master this platform. In total, it cost me about $400. You don’t need to do all that to learn about Pinterest; I’m just extra. I’d recommend you start with Pinterest Primer, a completely free course that teaches beginners how to set up an account, create boards, and build the right foundation to be successful. There are basically seven components of Pinterest you need to concern yourself with. I want to simplify the platform as much as possible for you because it can be overwhelming. Pins are what you use to get discovered on Pinterest. When you write a blog post, you create a vertical pin to advertise the content of your post. 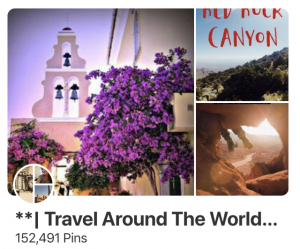 For every post, I create at least 3 completely different pins to reach different types of people. Below is one of the pins I’ve created for this post. It is 600 x 900 pixels, which fits Pinterest’s ideal dimensions of 2:3. If you hover over the pin, you will see a Pinterest symbol on the top left. That’s how you share a pin directly from a blog post to Pinterest. You can also click the Pinterest icon in the social media shares and it will show you all the images in this post. From there, you can select the pin you want to share to Pinterest. 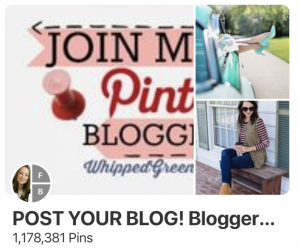 Once you’ve created the pin, you can upload it directly to Pinterest or you can first upload it to your blog post. I always do the latter because Pinterest prefers pins that come directly from your website. Also, if you pin from your website, the URL and meta description on the blog post automatically show up. If you upload the pin directly to your Pinterest account, you’ll have to manually enter that information. Your Pinterest profile is sort of like your Linkedin profile. But instead of showing your career trajectory and accomplishments, it shows off your blog content, your brand, your own pins, and other pins you’ve shared. You want your profile to be cohesive and professional. That said, don’t obsess over creating the perfect profile. The truth is that people will rarely look at your Pinterest profile. Normally, they’ll find your pin and click on it if it piques their interest. Then they’ll either save it, click over to your website, or click the back button. 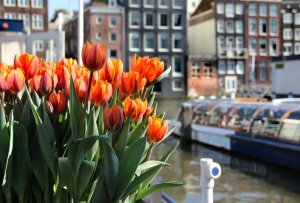 These are all topics related to female solo travel that your audience would be interested in. As a pinner, your job is to curate content for your audience. Pinterest rewards those who are perceived as good curators. As a result, their pins get shown in search results and smart feeds, which we’ll talk about later. Spain Travel, shown below, is my best-performing personal board. 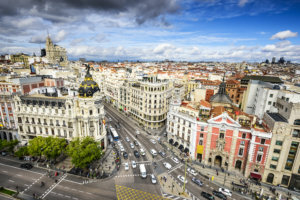 I pin both my own content and top content about Spain from searches, my smart feed, and other boards. Notice that there is a description of the board at the top? This is really important if you want your boards to be found. You need to do some research on Pinterest to find the most relevant keywords for your description. 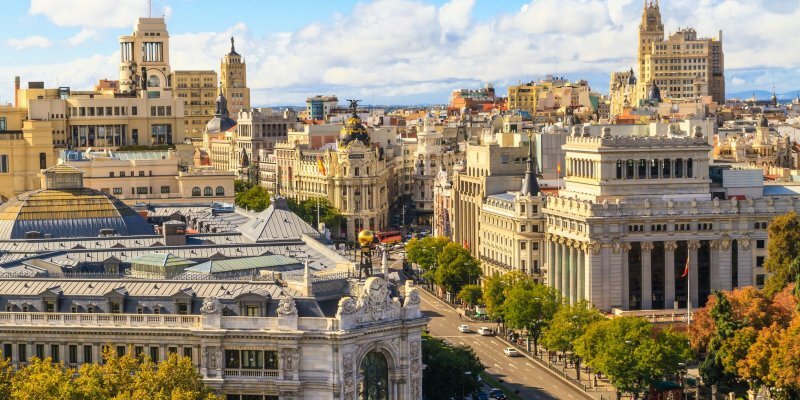 For instance, some of the keywords I incorporated below are ‘things to do in Spain,’ ‘Spain itinerary,’ and ‘Spain travel tips.’ I was intentional about choosing keywords that lots of people search for on Pinterest. We’ll talk more about keyword research in a bit. To be a good curator on Pinterest, you must pin high-quality content to your boards. One easy way to find high-quality content is to simply search for a term on Pinterest. 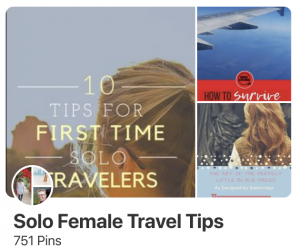 The pins that show up at the top are what Pinterest considers the best pins about the topic. Pin those to your relevant personal boards and do this consistently. Maybe you can log into your Pinterest account every evening at 7 pm and manually pin 10 top-performing pins to your board. Consistency is more important than quantity because Pinterest wants active users. Rather than pinning 40 pins on Sundays, it’s better to pin 8 pins per day from Monday to Friday. When people visit your profile, they will see all your boards arranged by date added, alphabetical order, or however you choose to arrange them. While not necessary, creating covers for your boards helps your profile look cohesive. That reflects greatly on your brand. You can make board covers using PicMonkey or Canva. As of 2018, the size of a Pinterest board covers is 217 x 146 pixels. To create board covers and pins, I prefer PicMonkey to Canva because it has more features and fonts. How many pins should you have in your personal boards? Before you make a travel board public, try to have a minimum of 10 pins. There’s no rule about how many pins you should have on your boards, but you want to have a substantial amount of high-quality content. I fill my personal boards with 25 pins or more before I make them public. You also want to pin a substantial amount of good content, especially when you’re first starting out. This will establish your account as a credible source of content in Pinterest’s eyes. There’s no magic number to aim for, but I would say 25-30 pins a day is a good amount. If you want to grow your account fast, you could go up to 50 pins a day. Some do over 100, but I think that’s overkill. You should experiment with different numbers of pins to see what works best for you. Remember that quality trumps quantity so don’t pin random content just to fill your boards. Group boards are a great way to expand your reach on Pinterest and get more eyeballs on your content. These are boards that have at least two collaborators who share content on the same topic. When you join a group board and share a pin, it becomes visible to not only the other members but also their followers! This increases your reach exponentially. Now, I’m not saying that every single member of the group board and their followers will see your pin. Other factors like the time you pin and the quality of your pin after the ranking as well. While group boards are helpful, you should not rely on them to grow your account. Your personal boards can be even more powerful if you curate them well. You can tell if a board is a group board if there are multiple collaborators. Look at the bottom left of the board display to see if there’s a circle with three pictures. Not all group boards are topic-specific. There are some free-for-all group boards, like Share Your Blog Posts and Bloggers Supporting Bloggers. You want to avoid those like the plague! Why? When you share a pin to Pinterest, the Pinterest algorithm determines what your pin is about based on several factors, including the boards the pin is saved to. 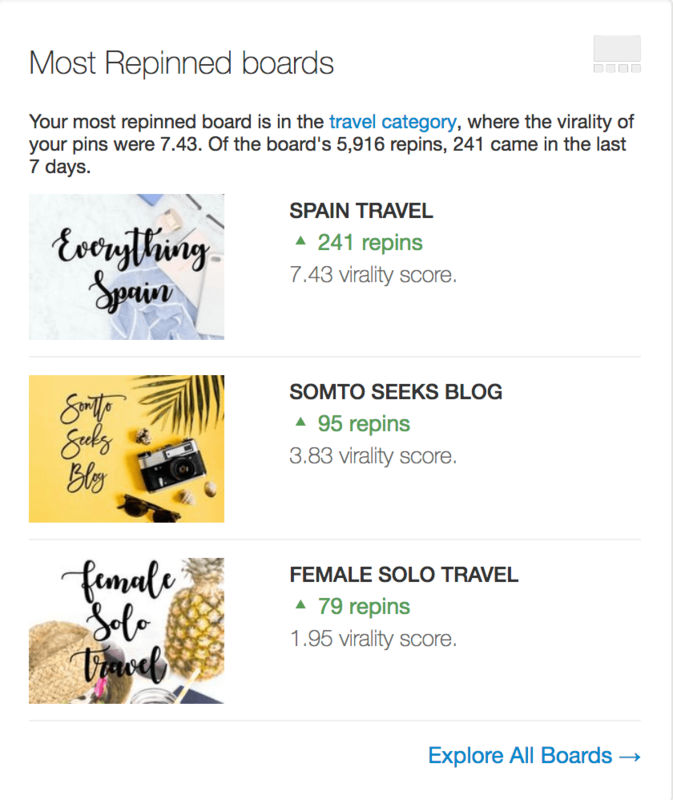 Let’s say you create a pin about female solo travel in Spain. Then you save it to a Spain board and a female solo travel board. You’re telling the Pinterest algorithm exactly what your pin is about by pinning it to relevant boards. 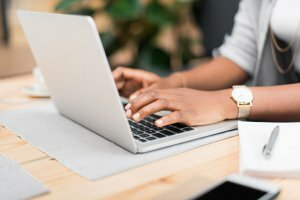 Now let’s say you save that same pin to the free-for-all board ‘Post Your Blog!’, which has DIY, home decor, personal finance, and a bunch of other random topics. This would confuse the Pinterest algorithm. How does it know what your pin is about? If Pinterest can’t tell the subject of your pin, then it won’t show the pin to users. You may be tempted to pin to these free-for-all boards because they have thousands of followers. But don’t do it! Keywords will make or break your success on Pinterest. 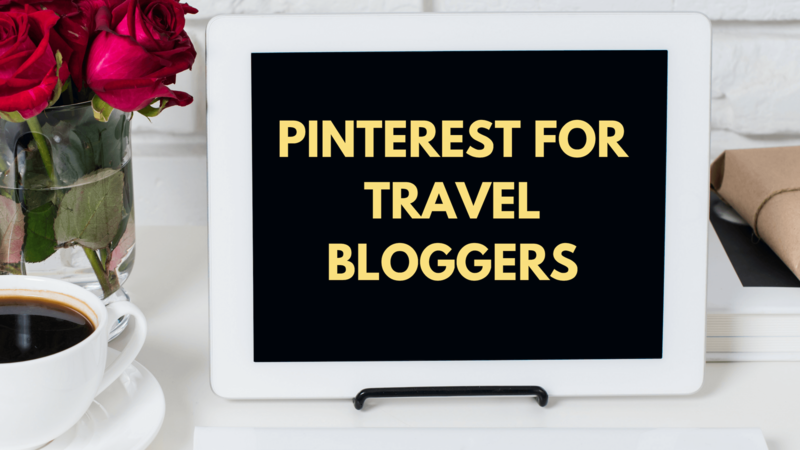 The Pinterest algorithm primarily considers your keywords, pin image(s), and boards to determine what your pin is about and decide how to rank it. What are keywords exactly? These are search phrases that people use to find what they’re looking for on Pinterest. If you want the right people to find your pin, you need to describe your pin using the keywords they’re searching for. The great thing is that identifying those keywords is actually quite simple. Basically, you need to search the topic you’re writing about. Then Pinterest will show you the most searched keywords related to that topic. For instance, let’s search for Havana, Cuba. Notice the colorful boxes at the top? Those indicate the topics users are searching related to Havana. 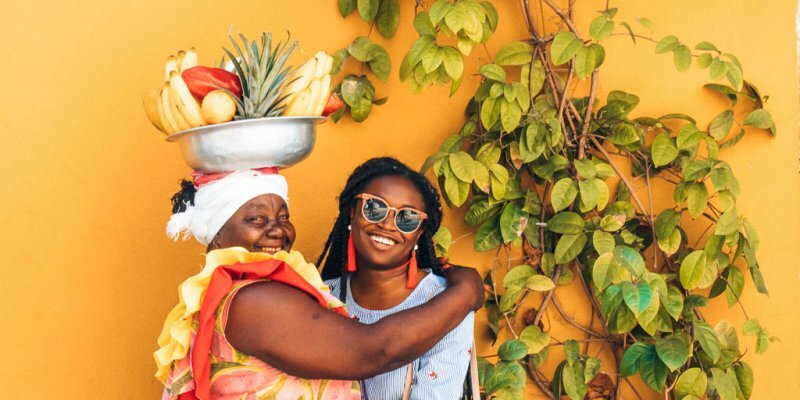 The top five things people want to know about Havana on Pinterest are photography, travel, beach, fashion, and things to do. 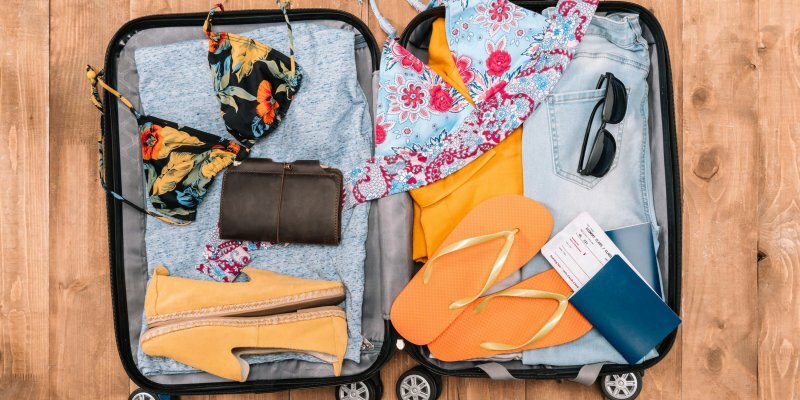 For my post, How To Spend 48 Hours in Havana, I incorporated travel, beach, and things to do into my pin description based on this research. Want to learn more about keyword research? I explain the exact steps I use to perform keyword research in my post, How To Use Affiliate Links on Pinterest. With a Pinterest Business Account, you get access to analytics. This is a goldmine of information that can help you continuously improve your profile. I check my analytics once a week to see which posts are performing well, how many people I’m reaching, how many followers are engaged, and other valuable information. The image below shows my Pinterest Analytics dashboard. It breaks down the daily and monthly viewers on my profile as well as activity from my website. If you click the more link on each section, it will take you to a more detailed analysis. If you want to really understand Pinterest analytics, the best course I’ve taken is Pinterest Ninja. This ebook dives deep into what all those stats mean and how to use them to improve your profile. For instance, from this ebook, I learned that you can figure out the exact interests of your followers. Go to Analytics>Overview>People You Reach>Audience Insights. As you can see below, almost 70% of my audience is interested in travel. Learn how to get your Pinterest account set up. Pinterest users are looking for practical solutions to their questions or problems. That’s why topics that do well are actionable and solve a problem. Pinterest is not the place to share your travel stories about the beauty of the Amazon or the lost tribes of Papua New Guinea. 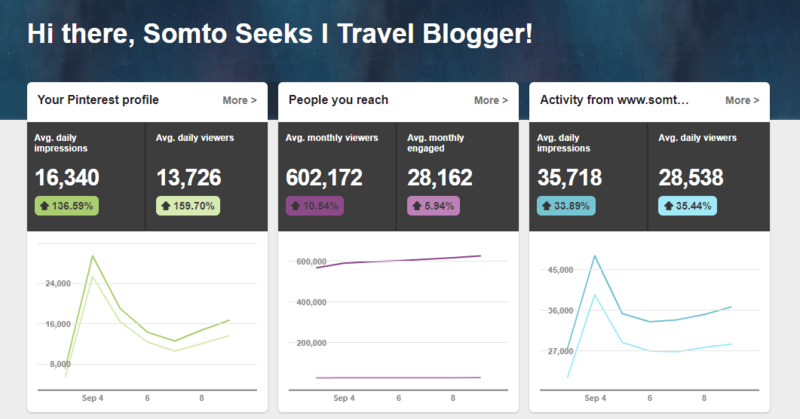 From experience and observation, travel stories don’t do well on Pinterest. That’s because they aren’t actionable and don’t solve any concrete problems. I share my travel stories about traveling solo but that’s because female solo travelers want to hear about other women’s experiences. In general, if you want to share travel stories, go on Facebook. You’ll have much better success there. 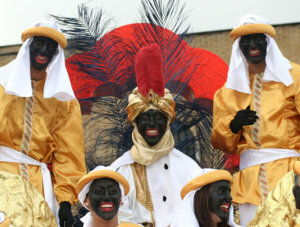 Popular places like Bali, Paris, Barcelona, and Havana. 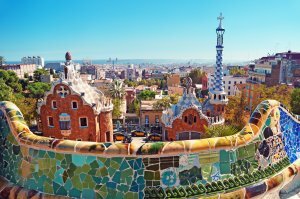 My post about Barcelona has 20k shares on Pinterest! 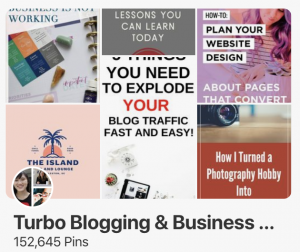 If you want to learn more about pin design, I highly recommend the Billionaire Blog Pinterest Manual, a 165-page ebook that teaches the ins and outs of growing your traffic with Pinterest. Within the ebook, there are 30 pages dedicated just to how to design pins that drive thousands of page views to your blog. I should note that the creator of the ebook, Paul Scrivens, runs 13 blogs that each get 100k-400k page views/month! (Update: this course has been changed to a 5-day boot camp, but still contains the same information.) Based on what I learned in this ebook and from creating several hundred pins, I have identified six key features that make a pin go viral. A popular topic that people are actively searching for a lot on Pinterest (and Google.) It all starts with SEO research. I took another course called Pinterest Ninja, which makes Pinterest SEO really easy to understand. High-resolution stock photos – paid stock photos are better because they’re more professional and fewer people use them. I have a subscription with Deposit Photos for $29/month, and it’s worth every penny. Since I started using professional stock photos, my pins went from 20-50 repins to 1,000+ repins. A background with warm colors – oranges and reds get far twice as many repins as blues and greens. Easy-to-read fonts and text that tells viewers exactly what they’ll get. Be careful with fancy script fonts. They can work, but make sure they are legible. Long and vertical shape – Pinterest recommends 600 x 900. I create pins of different sizes to see which one does best. That said, my pins don’t get bigger than 735 x 1,400 (unless it’s an infographic) – Pinterest cuts them off at that point. A bonus offer, such as a printable, map, or worksheet. This isn’t mandatory, but it gives people more incentive to click. 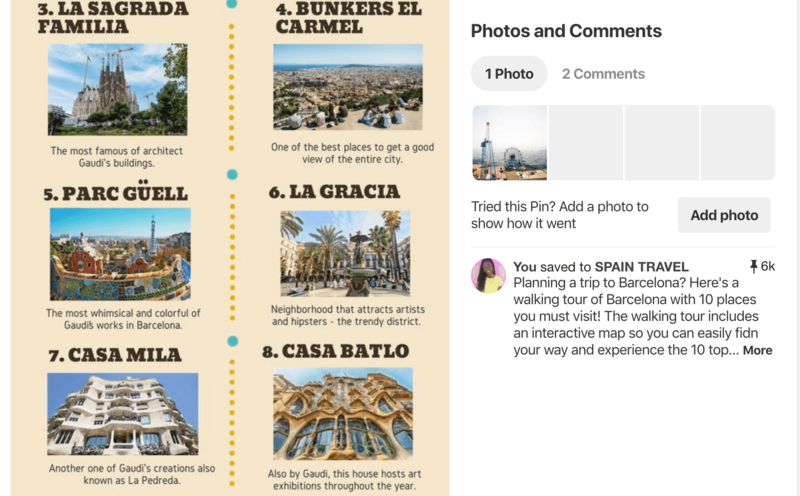 Below is the pin from my Walking Tour of Barcelona post that drives 1,600-2,000 page views a month to my blog. I’m using it as an example to explain the key components of a viral pin. Should you use a Pinterest scheduler? In your first 3 months or so on Pinterest, I highly recommend you don’t use a Pinterest scheduler, like Tailwind or Buffer. Here’s why: manual pinning will allow you to see how the platform works first-hand. You’ll go directly into different group boards to post your pins and observe the repins. You’ll pin in the morning, afternoon, and night and get to know what time works best for you. If you leave all the work to a scheduler, you’ll be making decisions without understanding why. I started off pinning with Tailwind and had no clue what I was doing. I just scheduled pins and waited for traffic. After taking a course called Pinteresting Strategies, I spent 3 months doing manual pinning. As a result, things started to click. I understood which group boards were helping me and which ones were a waste of time. Also, I figured out the best times to post and honed my keyword research skills. Most importantly, I learned what Pinterest wants: high-quality, fresh content on a consistent basis. Pinterest wants to show users relevant content and also show them new content they may not have considered. 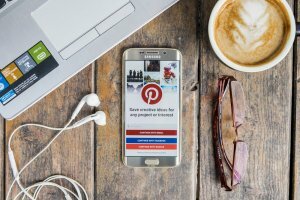 If you get your pin design, keywords, and pinning strategy right, Pinterest will show your content to hundreds of thousands or millions of people. After you feel comfortable with how Pinterest works, then you can graduate to a pin scheduler. I use Tailwind to schedule my pins for weeks or even months in advance. Tailwind is an approved Pinterest scheduler that will save you lots of time. You can get a one-month free trial. Tailwind is another subject in itself so I’m won’t go into detail. When you sign up for Tailwind, you’ll have access to a welcome tutorial that walks you through how to use the platform. If you need more clarification after watching Tailwind’s tutorial, then I’d recommend Pinterest Ninja. It goes into depth about how to create a pinning strategy using Tailwind. Megan Johnson, the creator, is a Pinterest Marketer and also one of the nicest people I’ve met. I was so impressed by Pinterest Ninja that I decided to sign up for her one-on-one coaching program. This lady really knows her stuff and I can’t recommend her course enough. In Pinteresting Strategies, mommy blogger Carly Campbell discusses how she went from 0-200k page views by manually pinning on Pinterest. This ebook is copyrighted material so I can’t divulge all her strategies. But I can give you a hint about another way to get even more page views from Pinterest. I’m assuming you have Google Analytics installed. If not, download it now. This free tool is a must-have if you want to grow your traffic. Google Analytics shows you your best performing posts and your top traffic sources. You can figure out exactly how much traffic Pinterest is sending you by going to Acquisition>Social>Network Referrals>Pinterest. There, you’ll see a list of your top performing posts on Pinterest. If you click the link for each post, it will take you to a list of all the individual pins that are sending you traffic. On your highest traffic days, manually repin those high-performing pins to your best-performing group boards. How do you know your highest traffic days and your best performing group boards? You can simply look through your traffic history on Google Analytics and observe the patterns. When do the traffic spikes normally happen? For me, it’s on Sundays so every Sunday evening, I repin my top five best-performing pins 2-3 times. To determine, your best-performing Group boards, you can use Tailwind’s analytics. Go to Insights>Boards. Then select only the group boards. Now, you can see your best-performing group boards based on both engagement and repins. The last topic I’m going to cover are infographics, which are one of the best-performing types of content on Pinterest. Everyone needs to create infographics! Here’s why: infographics get thousands of repins easily. People like to see information condensed in a way that is easy to digest. When you create infographics and save them to your personal boards, it increases the authority of your personal boards. Pinterest sees that lots of people are pinning your content so it shows more of your content on searches and smart feeds. 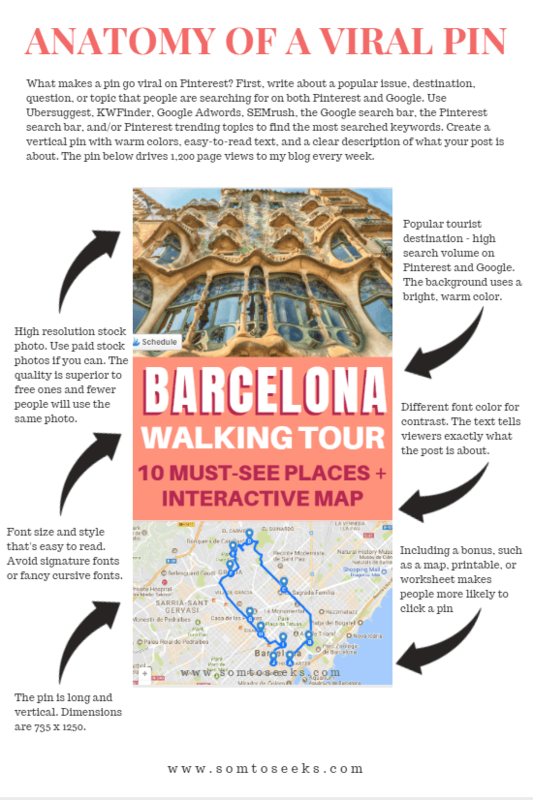 Case in point: I created an infographic for my Walking Tour of Barcelona post (shown above), which now has 6k repins. After that, my Spain Travel board became my best-performing personal board. Even now, it continues to rank #1 on Tailwind for most repins. As you can see below, the board has a virality score of 7.17, which means that for every pin I share, 7 are repinned. Seeing the success of that infographic, I incorporated infographics into my Pinterest strategy. 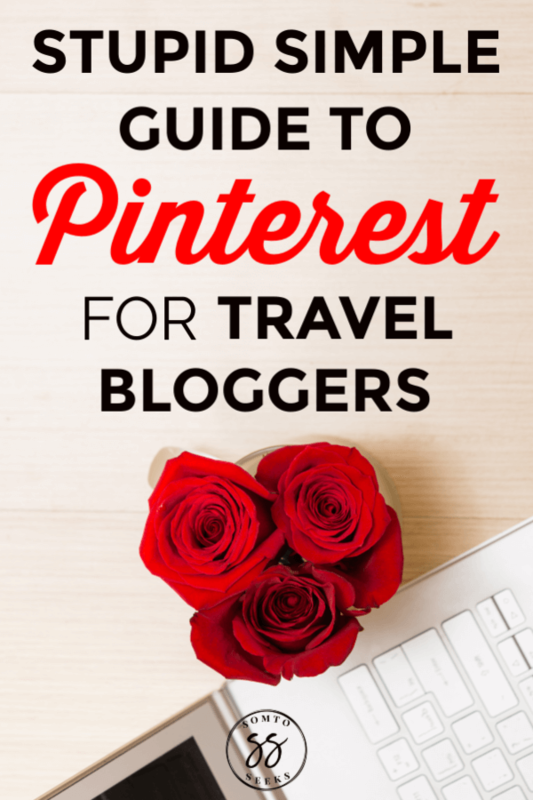 Have you been using Pinterest to drive traffic to your travel blog? What strategies have work for you? Comment below. Great article! I am new in Pinterest and little by little digesting all the details about this platform. I have a question. What do you think about the FB repin threads, where the people share direct pin links? Some people’s Pinterest accounts (including mine) were temporarily suspended while joining such threads. Would you recommend it as a way to grow our traffic? I’m glad you found the article helpful! I don’t recommend those repins threads at all. They are time consuming and don’t yield any significant results. For the return on investment, it’s just not worth it. Also, if you join a repin thread that’s not niche-specific, people may repin your pins to irrelevant boards. That would confuse the Pinterest algorithm and get you LESS traffic. 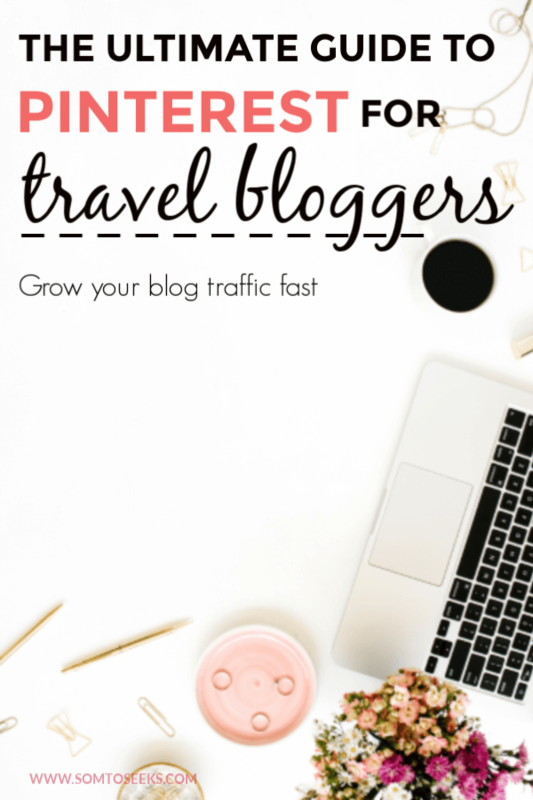 Instead of participating in these threads, I would focus on creating new pins for your blog posts, learning how to write keyword-rich pin descriptions, joining new group boards, and writing more blog posts. Focus on the things that will help you in the longterm. Those threads are honestly a waste of time if you look at the big picture. Thank you for your answer, Sugwueze. Yes, I was not sure, but now I feel repin threads are waste of time and also dangerous for my account. There are some other threads, where you have to open blog posts, not direct pins, and save their pins from the blog post. It seems better and safer. But I will try to follow your recommendation, and only sometimes join blog post threads. That sounds like a great plan! I just looked at your blog and really like your content. It’s well-written and helpful. I think you’d be a great fit for my Pinterest services. I help bloggers who produce high-quality content get more traffic using Pinterest. Take a look and see if it’s something that interests you: https://www.somtoseeks.com/work-with-me-pinterest-services-bloggers/. I’m offering discounts for new clients this month. Yes, now I am developing my blog step by step, digesting all the details and strategies. During this process, I will keep in mind your offers, following my blog investment plan. Sounds great! Feel free to reach out if you have any questions!